What does a lamp need to illuminate the way? Jesus told the church of Laodicea "buy from me". Psalm 119 also says in vs. 160, "The sum of thy word is truth, and every one of your righteous ordinances is everlasting." There seems to be a sense in the parable that the Holy Spirit will not always dwell with men or be available. In the sense of convicting the world of sin. That interval when the Ark door was closed and then the rain came. And a reversal of sorts of the ascension and Pentecost, at which time the disciples had the Holy Spirit, earlier Jesus blew on them and said receive the Holy Spirit, but they needed to wait on the promise, the empowerment to be witnesses and make disciples. The reversal being the conviction of sin on the world will no longer be and the church proper as in spiritual gifts will no longer be poured out. The faithful virgins had the word and the illumination of the Holy Spirit knowing what to do. "When you see 'all' these things begin to happen, then look up for your redemption draws nigh." Jesus also told His disciples that He must go for the Holy Spirit to come, well, it's the same type interval, the Holy Spirit must go for Him to come. I repeat, not taken from His children, those that are born again and have the assurance of salvation. It's why people make the statement, "The time to get the oil is now." Remember there are those who will claim to have done many things in Jesus name and He will say, "Depart from me, I never knew you." The "lamp" (as your initial post said) is "salvation". AND ALL 10 had these lamps! And, ALL 10 were said to be "virgins"! Salvation is based on faith, but apparently there is more to it than "just faith alone" - At least when it comes to the rapture. The issue is NOT that there was NO oil, but rather that they (the 5 foolish ones) did not have ENOUGH oil. Now, we are told that the tiniest amount faith is all that is necessary to move a mountain. You mentioned the "roots" taking hold and growing. Sure, the "milk" or basic tenets or actions of faith are necessary for "children" (new believers), but then what is meant by "meat" (solid food)? Is it just believing more? I don't think so. The root (pun intended) of the issue is "obedience". I know this word is taboo in most churches because they immediately start thinking "works based salvation", but even the NT and Revelation (prophecy FOR the followers of Jesus) overflow with references and implications associated with obedience. The further you get into Revelation, the more it seems to stress obedience. Going back to the "virgins", the foolish were told to go to the "market" and "buy" the extra oil they would need. The market is the churches(or the Word) and buying and selling refers to "instructions in righteousness". Obedience is not obtained with a mere thought, but rather learned through application. The great whore was said to once be a great "market place" with many "ships" (vessels that carried the cargo of precious gems, gold and silver plus many more). Notice the word "once". So, the great whore is actually what is left of the "Church" after the rapture. No more buying and selling, no more voices of the bride and groom (just read Rev. 18 below). I like to use the imagery of NOT "SITTING ON A CHAIR", but rather coming to a bridge (salvation) and then either just sitting down right next to the bridge (faith alone) or having the courage to step onto that bridge and cross over to the other side (obedience). The 'commands' of Jesus and the apostles concerned first of all faith, but also obedience as expressed in our daily walk with (and IN) Christ. I don't necessarily connect it to the rapture. I used to, but I've revised my thinking on the whole "revelation" narative regarding pre-, post-, mid-trib stuff. There is no doubt that many of the things in revelation have already happened, but many have not. I've stopped trying to second guess the whole thing and choose to make sure I have oil in my lamp, even if I die before any of it happens. Well, if the Virgins of Matthew 25 are the church, then the church got a downgrade from bride of Messiah to bridesmaids. No, the story is commentary on Ezekiel 20:33-38 as well as other passages regarding judging the Hebrew people who come thru the tribulation period. Just like the sheep and goat judgment of Matthew 25 is a discourse on Joel 3.... judging the nations that come thru the tribulation period. Some like to use the Virgins story to guilt trip fellow believers. That is sin, pure and simple. One is either justified or not, and it is not the ability of any man to justify himself unto YHVH. There is no partial rapture nonsense since there is no partial justification, and the story of the Virgins has nothing to do with a rapture. As much as some would like, not everything Yeshua taught about the end times is related to the church. We can learn a lot from the various discourses, but that doesn't mean all of them apply directly to us. There are 3 points about this parable of the 10 virgins that need to be understood to identify who the foolish virgins represent. 2. What is the meaning of Matthews use of KOH? 3. What truth is the moral of the parable? Understanding #2 is foremost to grasping #1 & #3. Matthew is the only gospel writer to use KOH (kingdom of heaven) and KOG (kingdom of God). He is also the only one to speak about the church of Jesus Christ. Because Matthew speaks of both KOH and the KOG, it should immediately tell us that it is for a purpose. The mystery is found in Luke's gospel. In Luke 22;16-18, we find Jesus saying that the coming of the KOG is a future event. Luk 22:16-18 KJV For I say unto you, I will not any more eat thereof, until it be fulfilled in the kingdom of God. And he took the cup, and gave thanks, and said, Take this, and divide it among yourselves: For I say unto you, I will not drink of the fruit of the vine, until the kingdom of God shall come. In verses 29 & 30, we find that the interim time, from the departure of Jesus unto the Father, until his return (when the apostles shall sit on thrones judging the 12 tribes of Israel), that Jesus says that it is to be known as the kingdom of the apostles. Luk 22:29-30 KJV And I appoint unto you a kingdom, as my Father hath appointed unto me; That ye may eat and drink at my table in my kingdom, and sit on THRONES judging the TWELVE TRIBES of Israel. Paul says in Ephesians 2;20 that the church is built upon the foundation of the apostles & prophets, with Jesus as the cornerstone. Furthermore, Jesus tells Peter that the church is built upon the confession that Jesus is the Son of the living God, and that the keys or the principles of entering the kingdom of heaven have been given to Peter. 2. The apostles will judge the 12 tribes. Mat 19:28-29 KJV And Jesus said unto them, Verily I say unto you, That ye which have followed me, in the regeneration when the Son of man shall sit in the THRONE of his GLORY, ye also shall sit upon TWELVE THRONES, judging the twelve tribes of Israel. And every one that hath forsaken houses, or brethren, or sisters, or father, or mother, or wife, or children, or lands, for my name's sake, shall receive an hundredfold, and shall INHERIT everlasting life. Luke said that this was when the kingdom of God shall come. Our inheritance in the kingdom will come when Jesus returns with the kingdom. 2Tim 4:1 says that the kingdom of God will come at his appearing. All references to inheriting the kingdom, all speak of inheriting the KINGDOM of God and that of nothing unrighteous will be taking part. *[[1Co 6:10]]* Nor thieves, nor covetous, nor drunkards, nor revilers, nor extortioners, shall inherit the kingdom of God. *[[1Co 15:50]]* Now this I say, brethren, that flesh and blood cannot inherit the kingdom of God; neither doth corruption inherit incorruption. *[[Gal 5:21]]* Envyings, murders, drunkenness, revellings, and such like: of the which I tell you before, as I have also told you in time past, that they which do such things shall not inherit the kingdom of God. *[[Eph 5:5]]* For this ye know, that no whoremonger, nor unclean person, nor covetous man, who is an idolater, hath any inheritance in the kingdom of Christ and of God. In all of the KOH parables, there is this continual theme of good and evil, righteous and unrighteous, leavened and unleavened, wise and foolish. What this all means is that the kingdom of heaven is the rule of God in the church under the principles and teachings of the apostles & prophets in the absence and presence of Jesus as king. Our inheritance, and the kingdom will be established with the return of Jesus. The KOG will come when Jesus visibly sits as the reigning authority of the kingdom. The KOH is when Jesus reigns as the invisible authority of the church, via his Holy Spirit. In essence the mystery of the kingdom will cease when the Jews are no longer in blindness and are viewed as included within the church. The KOH will end when Jesus sits upon the throne of his glory, Matt 19:28; 25:31;Mar 8:38; Luke 9:26;1Thess 3:13. This is also found in the KOH parables of the tares and the net full of fish, with the angels being sent to remove from HIS kingdom, the things that offend and those who commit iniquity. The KOH parables of the 10 virgins AND of the talents, found in Matt 25, is then followed by this in Matt 25:31, when he comes with the holy angels. We can now understand the usage of the word "then" in the parable of the 10 virgins. It is the last state of the kingdom of heaven, the church, before Jesus returns at the rapture. This is exactly what we see in the coming of the bridegroom, and only the wise enter in. The delineation of the wise & foolish is further expounded on in Matt 7. The wise built his house upon the Rock, and the foolish built their house upon the sand. In both cases, a great storm comes. The wise are clarified to be those who hear the commandments of God and do them. The foolish do not what is written in the commandments. Here we should be able to see the "invisible reign" of God within the heart of the believer. These are the righteous, who will inherit the KOG and everlasting life. The unrighteous members of the KOH, who will not inherit the KOG are those who call Jesus "their Lord", but do not obey the commandments of God. "Not all who say, Lord, Lord, shall enter the KOH...but he that does the will of the Father ". Midnight, in the parable of the virgins, equates to the great storm that the builders on the Rock and the sand, must ALL face. So lets now look at the moral of the parable of the virgins. *[[Mat 25:13]] KJV* Watch therefore, for ye know neither the day nor the hour wherein the Son of man cometh. But Jesus follows that up with the "Goodman of the house", where that moral is "be ye ready ALSO". So Jesus tells us, the members of the KOH, to Watch AND Be Ready, for his coming. This is why I think that many misunderstand the coming of Jesus at the rapture. They fail to distinguish between watching and being ready. The exhortation to be ready is because Jesus will "come at an hour in which you think not". Whereas, watching pertains to "you do not know the hour". They sound the same, but in reality are not. The command to be ready [TO MEET THE LORD AT HIS COMING] hinges on the precursory need to watch [... and be ye also ready]. Keep in mind that we are talking about the Lord coming for those that "are alive and remain unto the coming of the Lord". It's not saying that you can't be ready if you are not watching. It's saying that watching is a necessary precursor to being ready WHEN the Lord shall come in the rapture. Being ready is a state of the heart. Watching is a state of the physical mind. You don't have a mind to think with, IF YOU ARE DEAD! To physically meet the Lord at his coming, you have to be watching AND be ready. The pretrib world has essentially abandoned the need for watching, and have settled for only the need of the heart, by only needing to be ready. I can't quarrel with their readiness to meet the Lord. But I do take issue with their need to be watching. I think everyone should know what I mean. Imminency, precludes the need to be watching. Let me reiterate. The moral of the 10 virgins parable is to watch. It is not about "being ready ". The foolish virgins failed in their assessed need for watching. I will get back to this in a minute, but let me first get back to distinguishing between watching and being ready. *[[Mat 24:42]] KJV* Watch/(phulake) therefore: for ye know not what hour your Lord doth come. 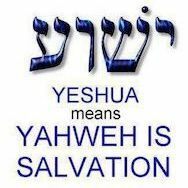 *[[Mat 25:13]] KJV* Watch/(phulake) therefore, for ye know neither the day nor the hour wherein the Son of man cometh. But the word "watched" (G1127, gregoreou) is different. Surely this is the basis for the Goodman being ready. So, the word watch/ phulake, means "if he knew what WATCH..." The word implies WHEN the thief would come. Put another way, it refers to the events surrounding the thief' s coming. Paul used the words "times & seasons" of his coming to refer to this word of watching for the return of Jesus. But Paul concluded those words in 1 Thess 5:6 with "watch & BE SOBER." 1Th 5:6-8 KJVLite Therefore let us not sleep, as do others; but let us watch and be sober. For they that sleep sleep in the night; and they that be drunken are drunken in the night. But let us, who are of the day, be sober, putting on the breastplate of faith and love; and for an helmet, the hope of salvation. He established that those "of the day" are the ones who are watching and understanding the times & seasons. So, the Goodman's watching (gregoreou) is in response to knowing WHEN (phulake) the thief was going to come. The belief that the rapture is in a current state of imminency, is to remove that need and command of Jesus to be watching(phulake) for the signs of his return. Getting back to the foolish virgins parable, let us get back to the point of why the foolish are distinguished from the wise. This will be the foundational principle of the moral of the parable of the virgins. What does this mean? They did not take extra oil because they misunderstood the events that would surround the return of the bridegroom, Jesus! What was that purpose of the oil in the lamp? It was so that the bridegroom, when he returns, could identify the bridesmaids, even in the midst of that darkness of midnight. The foolish thought that he would return in the brightness of the day. But the wise knew to be prepared for the darkness to come first. The oil simply represents the abundant presence of Jesus , in the form of the Holy Ghost, to live a godly life in the midst of the circumstances of life while they wait for Him to return(he is not physically present). .This is the essence of the kingdom of heaven. The parable of the virgins is NOT about "not being ready", but is about "not watching". They understood the essence of being ready, but did not understand the need to watch in regards to meeting the bridegroom when he comes. Does it mean that they were not ready? I don't think that we can conclude that they were neither physically nor spiritually ready. But the fact that they did not perish when the bridegroom actually comes, does not bid well for them being ready spiritually. They are all referred to as virgins. The great storm (in Matt 7) and the hour of midnight in this parable, both represent the unexpected conditions that the members of the KOH, the church will go through. Since none of the virgins experience the loss of their life, I would say that the 10 virgins represents only those who will come out of the storm of the great tribulation alive. They were neither watching nor ready, BECAUSE they were not part of meeting the groom, when he came sometime after midnight. 1. Only those who are part of the KOH ("believers") will be among those who are watching for the return of Jesus. But not everyone who IS watching will survive those dark days of the G.T. The tribulation is no respector of persons. 2. Not everyone who survived the G.T. will have been part of the KOH. There will still be some who have not heard the gospel at the time of the rapture. See Isa 66. (Again, the G.T. will be no respector of persons. We must Pray to be accounted worthy to escape). Do you see how this mirrors what Jesus said about being ready? The foolish virgins are the ones that the times and seasons of his return will come upon them unexpectedly [not watching]. They may or may not be ready. But they did not enter into the bride chamber when Jesus came for the church. My sad conclusion is that some who are ready, will miss the rapture, but will find enough oil to eventually make it to be with Jesus. The end of Matt 24 (vs 30-31) definitely speaks of the 2nd coming. Verse 32 starts out with a NEW thought that goes back in time to BEFORE the final tribulation begins. The fig tree parable ties in with the FINAL generation that will experience the tribulation and 2nd coming. Verse 38 equates it with Noah's flood. Verse 40-41 speaks of two women working at the mill. Verse 43 ties to the Luke parable of the "good man of the house" watching and entails also the telling of others (the preachers congregation). Verse 49 is very interesting - this servant (church leader/teacher) "smites his fellow servants" and even "eats and drinks with the drunken". Smiting ties in with "striking in the mouth" which means preventing from speaking and "drunken" is NOT referring to physical drunkenness but rather relates to those who are "asleep" and saying "all things will be the same as yesterday … NO, even better". This is a "spiritual" drunkenness that many Christians today have fallen into - the same drunkenness described in Rev 17 & 18 (the left behind Christians). Verse 51 says they are thrown into the "place of weeping and gnashing of teeth" along with the "hypocrites". This "timeframe" is the final tribulation right before the 2nd coming. EVERYWHERE it is used in the Bible will be the SAME. "Gnashing of teeth" (as the Bible describes it) refers to "mockers" and REJECTION of the truth. Luke 13:24-28 tells us the door to heaven is SHUT after the rapture and those still outside are cast into the "place of weeping and gnashing of teeth". Chapter 25 starts out by saying "then shall the KOH be like unto 10 virgins". So, depending on your eschatological position, you will say it either refers to the tribulation period AFTER the rapture OR the CHURCH right before the RAPTURE. Next, is the "talents" parable where the master leaves "his servants" FOR A LONG TIME. DaPuppers did well to write the lengthy report of how the KOH refers to the START of the Church Age (1st century), so we see the lapsing of now almost 2000 years and NOT just a few, as would be the case if these verses were referring to 3-7 years of tribulation. Matt 25:30 casts the "wicked & slothful" servant into the "place of weeping and gnashing of teeth". Verse 31 specifies the 2nd coming in the words "when the Son of man (Jesus) shall come in his glory, and the angels with him, THEN shall he sit upon the throne". This now speaks of the sheep and goat judgment concerning "everlasting punishment and life eternal" and the entrance into the millennial kingdom. NOW, WHAT is MISSING FROM THAT LAST PARAGRAPH? The phrase "weeping and gnashing of teeth". It is never used in reference to the judgments that come AFTER the 2nd coming. I agree! The passage of Matthew 25, the timing is the second coming. But the Kingdom of Heaven, what is it? If one studies how Yeshua was constantly telling those around Him that the Kingdom of Heaven is near them, and looks at how it is viewed in the OT, it is speaking of the restoration of the Davidic Kingdom on earth with Yeshua reigning as king as promised to the patriarchs and King David. In Matthew 23:37-39, Yeshua is lamenting how He wanted to gather all of the Hebrews together like a hen gathers and nurtures its chicks. But they would have none of it. So the offer of establishing the kingdom on earth is rescinded and now His Father's House (temple) is now their house and it is left to them desolate. They would never see Him again until the corporate leadership of Israel acknowledged their offense and fulfills Hosea 5:14-15 and Psalms 118. All of Matthew 24 and 25 show the consequences of that rejection and how it will all go down. The references Yeshua uses are thoroughly Jewish. The temple, the Shabbat, Mt of Olives (which overlooks the Valley of Jehoshaphat reference in Joel 3), Jerusalem, Judea, etc. Nothing that would be of any consternation to the church if it was around. 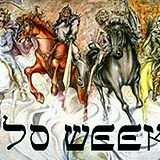 The virgins are those of the Hebrews who survive the tribulation period and are gathered from the nations and separated according to Ezekiel 20:33-38. The Sheep and Goat judgement is the nations all being gathered and passing before Yeshua's and their turn to be judged. It is a discourse on Joel 3. The sheep and goats are the nations. They are being judged on how they treated Yeshua's brethren. And from Joel 3 which talks about this, the brethren are clearly the Hebrew people. But even if the brethren were to mean the church, the sheep and goats are still the nations. No way to get out of that one. There will be Hebrews and those of the nations who will go into the Messianic kingdom. Well, the term "weeping and gnashing of teeth" isn't mentioned in Revelation 20 GWTJ either, but I would be willing to bet those who are thrown into the lake of fire will not be having a party. And that judgment is after the 1000 years and the rebellion stirred up when Satan is released. Just like "wrath" is not mentioned during the flood of Noah event, but from what happened, it sure seemed like YHVH was pouring out His wrath more than at any other time in history. Even to wipe all life off the face of the earth except those He locked in the ark. Folks should really avoid straining at a gnat over words used or not used and step back and look at the picture. In this article we’ll examine the Parable of the Ten Virgins. The pressing question in this article is who are the foolish virgins? They have the door of heaven closed on them, a fate no one wants. The foolish virgins are virgins, someone keeping themselves pure from the world. We are also told they are awaiting the return of the bridegroom. This is a way you might describe a Christian, yet, they fall away so we know they are not true Christians. Let’s examine that falling away a bit closer. As we discussed in the video accompanying the second article, Jesus’s three parables that follow the Olivet Discourse in Matthew are applications of his end time teachings, applications that center on apostasy or the falling away. In that video we discussed how those who fall away are churchgoers attending our churches who are unsaved. They think they are Christians but are not. They may believe Jesus is the Son of God, they may believe in his sacrificial death on the cross, but they don’t have FAITH in those beliefs. They aren’t saved, they have a human-form of belief rather than what comes from above. Those that fall away have a temporary kind of belief (not faith). But as James tells us “The demons believe also, and shudder” (Jam. 2:19). Belief alone is not faith. So IMO, the foolish virgins are churchgoers who think they are Christians, but are not. When does the Parable Take Place? There is a common theory associated with the Pretrib. Rapture, that the foolish and the wise virgins are those who come to faith during the Tribulation, after the Bride of Christ is already in heaven (according to their belief). Those who hold to this theory, ask why Bride isn’t present in the parable and only the virgins who they call “attendants” or “bridesmaids.” Some English Bible translations even mistranslated virgin as “bridesmaid.” This theory claims the absence of the Bride in the parable demonstrates that this is a parable about the physical Second Coming, not the Rapture. Jesus told a lot of parables. He didn’t include a Bride in any of them. There must be a reason. There is. The Bride is depicted in Rev. 21. The Bride of Christ is the New Jerusalem and all its inhabitants which descends after the Millennial Kingdom. It is not the Church as is commonly thought, but is comprised of the one New Man (Eph. 2:15) Jew and Greek. It is all of Jesus’s redeemed. There is neither Jew nor Greek, there is neither slave nor free man, there is neither male nor female; for you are all one in Christ Jesus. And if you belong to Christ, then you are Abraham’s descendants, heirs according to promise. (Gal. 3:27-28). So even at the Rapture, the entire Bride does not enter heaven, rather the Jewish remnant is part of that eventual Bride and they are still on earth at that point. Also, in the Parable, Jesus is depicted as a groom not a husband. If he had been married to the Bride for 7 years, he would be a husband not a groom! So why are there ten virgins waiting for one groom? Is Jesus marrying more than one? No, he is marrying the New Jerusalem! But that Bride is made up of a vast multitude of those that have placed their faith in Jesus and those who will. So in conclusion, the Parable takes place at the coming of Jesus to Rapture those made Righteous by his blood. Now that we have settled some of the more controversial issues, that this takes place at the Rapture and that all the virgins are churchgoers, the meaning JUMPS to life. This is a key verse. Every one is sleeping prior to the coming of Jesus. What does this mean? It means that right now, no one knows when Jesus is coming. We are all oblivious-we are asleep to the proper time. But a clamor is coming. At the darkest hour (midnight) a clamor will come. Now because our English bibles say its a “shout,” many misinterpret it to be the “shout” that accompanies Jesus descent from heave seen in 1 Thess. 4:15-17. However, these verses use different Greek words. Because this is another misunderstood part of the parable, here is what HELPS word study says about krauge – the word for clamor. Cognate: 2906 kraugḗ (from 2896 /krázō, “cry out”) – loud crying, done with pathos (great emotion); clamorous screaming (shrieking) that is extremely boisterous, like a wounded person emitting “unearthly” (non-human) types of sounds. When will the people of the world emit sounds of unearthly screaming like a wounded person? There are two possibilities, either during the GREAT TRIBULATION or at the CELESTIAL EARTHLY DISTURBANCE when the tribes of the earth mourn. Third, it is only at the Celestial Earthly Disturbance the whole world knows Jesus is coming; we are no longer asleep as to the day. It is at that moment that all the virgins, wise and foolish, “trim” or prepare and light their lamps. Now the word translated “lamp” in the English is another unfortunate word choice. The Greek word is actually lampas or torches. This is the same word used in Revelation 4:5 for the seven spirits before the throne of God. lampas is a bright, shining SALVATION, not a dinky lamp to light your own way. But unfortunately, the foolish virgins do not have enough “oil” to keep their torches lit. THIS IS A KEY UNDERSTANDING. What is oil but the oil of anointing of the Holy Spirit? As we have claimed from the beginning of this article, the foolish virgins are those who think they are Christians, but really aren’t. They don’t have the indwelling of the Holy Spirit and their salvation torch has no flame. But the wise virgins were ready because they had the oil of the Holy Spirit. This then is the cryptic meaning behind the phrase, “I do not know you.” The foolish virgins without faith didn’t love God. They loved themselves. And when the moment of testing came, they fell away. And if Jesus knows us, he will confess us before the Father (Matt. 10:32). All who love him with agape love will enter the wedding feast. Why does Jesus conclude the parable this way? If the foolish virgins had been alert would they have been saved? Jesus certainly implies this. If so what does being alert mean? What are we to be alert for? How is this related to not knowing the day or hour? Somehow the unsaved foolish virgins were more likely to fall away because they weren’t alert . The Greek word translated alert is gregoreo meaning alert, watch, vigilant, such as keeping sentry watch at night. Paul presents this theme in 1 Thess. right after his famous rapture passage (1 Thess. 4:16-17). Paul is careful to show that the the Day of the Lord will come upon the unrepentant as a thief in the night and take them by complete surprise. He is just as careful to point out that it will not surprise the righteous. Pretribulationalists say this is because the righteous are raptured first, before the Day of the Lord (so that they don’t face the Day of the Lord). So does Paul say the righteous will not be taken by surprise by the Day of the Lord because they escape it, or because of something else? Being asleep, drunk, or not watchful impairs someone’s ability to OBSERVE what is going on around them. Being awake, alert, and sober allows one to be able to SEE. True Christians will be able to SEE and identify the Antichrist when he arises. They will understand the sin of taking the Mark of the Beast. Do you realize what a horrible brew of deception this is? How being alert to the signs Jesus has given us leads to the salvation of the unsaved who are relying on weak, human belief as opposed to faith; I don’t know. But Jesus clearly commands us to be alert for the signs of his coming . The whole pos is based off a false premise, therefore it is a waste of time to have read it. The 5 foolish virgins will be those who did not have enough oil or Holy Spirit in them to hear the call of the Groom and make through the darkness to the groom. The darkness equals the world and its wicked ways. The job of the Church is finished, the Angel SPREADS THE GOSPEL in Rev. 11, we have an appointment to Marry the Lamb in Heaven. Those are just facts. No matter how many facts you are presented with you will discount them, because you have your own theories to boast about, but it's not God word, that states we will be in heaven, marry the Lamb, then return on White Horses. Thanks for the warm response. The job of the church will not be finished until the Resurrection/Rapture, which is after the opening of the 6th seal, before the Wrath of God commences at the Day of the Lord.....at the opening of the 7th seal. The church has more than ONE job. They are to fulfill the Great Commission...(ie: spread the gospel), give testimony about Jesus Christ....and keep the commandments....among other things. Well that's just not true at all. I only discount "facts that are presented " in error. Those are usually "facts" that come from one who "supposes" they are truth. They are sometimes presented as "special divine revelation" given only to that specific person. Well, I'm sorry that you wasted your time to read it......and wasted even more time to respond to it. If the article is THAT wrong, perhaps you could point out all the errors and we could discuss it like brothers. Well, three are many verses that get thrown around regarding when the removal of the righteous goes down... pre - mid - post... whatever. But the Virgins are not the church, believers who go thru the tribulation, whatever. They are corporate Israel. But redeemed make up the bride of Messiah. The virgins are the bridesmaids, not the bride. The parable of the virgins is Yeshua's discourse on Ezekiel 20:37-38. There are ample verses in both OT and NT that support a pre-trib, but the ultimate verse confirming a pre-trib is 2 Thessalonians 2:3. In 2 Thes 2, the context is laid out in the first verse... the Day of the Lord and our gathering to Him. In verse two, the Thessalonians seemed to be upset that they were already in the Day of the Lord because of a forged letter that had told them that. Why would they be upset if Paul had taught them they would go thru the Day of the Lord? No, they thought they had missed something. In verse 3, virtually every translation prior to the KJV stated that the departure would occur first and then the man of sin would be revealed. Not a "falling away" or apostasy. Even in the Latin, the word "discussion" is used that suggests a spatial or distance departure. Dr. Kenneth Wuest, Greek scholar and head of NT Greek at Moody Bible Institute from 1924 till his death in 1961, wrote extensively on this passage and makes the assertion that the text is actually stating a physical departure is in view, not a doctrinal departure. Dr. Andy Woods, Doctorates in both Law and Theology, President of Chafer Theological Seminary, published a work taking another look at 2 Thessalonians 2:3 and confirms what Dr. Wuest had asserted and even expanded on the assertion, solidifying the case. According to Dr. Woods, "2 Thessalonians 2:3 establishes the pre-trib..... game, set, match." And given that the context of the passages is our gathering to the Lord, not our departing from the Lord, a physical departure or "rapture" is the only viable argument as to the use of apostasia in the verse. That is further amplified in verses 7-8 which repeats the same thing as verse 3 with greater emphasis. And to the point of this thread, the virgins are not the church / redeemed body of Messiah..... neither the foolish ones nor the wise ones. If the virgins are the redeemed, then the redeemed got a downgrade from bride of Messiah to bridesmaids of the Messiah and His bride. The virgins are representative of Israel at the end of the tribulation period. It is an exposition on Ezekiel 20:37-38. The entire Olivet discourse has been targeted at Israel. That was established in Matthew 23:37-39. Yeshua had wanted to gather the Hebrew people under His wing and rule over them. All thru His ministry, He covered the land proclaiming that the Kingdom was at hand. But the leadership of Israel would have none of it. In Matthew 23:37-39, the offer is officially withdrawn and they would not see Him again until they proclaimed Psalm 118. This a in accordance with Hosea 5:15. Matthew 24-25 is the result of their rejection. It outlines what would be forthcoming to them. The redeemed of Messiah are not the focus of the discourse.